Kevin Hanchard, hits it way out of the ballpark, as Dr. Martin Luther King Jr., in The Mountaintop at the Shaw Festival. The actor gives a 105-minute non stop, performance at fever pitch , acting out King’s last torturous hours at the Lorraine Motel. The play is not easy to watch. Hanchard begs and pleads for more time, his body broken, his mind scattered and his hope dwindling. Somehow he knows, while smoking and phoning God, that this day will be his last. 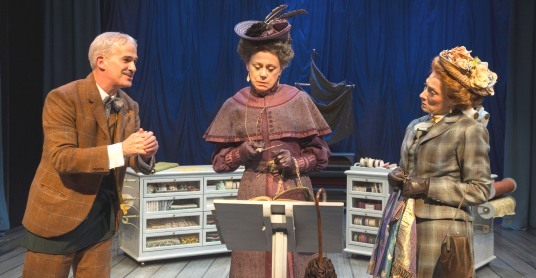 The play was written in 1973, but takes place in a British seaside town circa 1907. Like “Seascape”, THE SEA’s setting IS right there – beside and actually in it. A storm; an overturned punt, one survivor and one missing – presumed drowned. The effect on the survivor and the townspeople becomes a microcosm of societies’ strata; inter-involvement; philosophies and especially community. Director Eda Holmes takes the putty and sculpts a fascinating portrait of life. 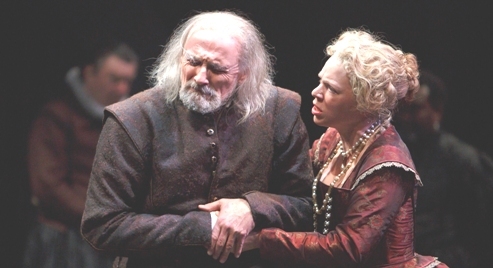 [Cordelia]- “Nothing my Lord”; [Lear] -Nothing? [Cordelia] -”Nothing”. [Lear] “nothing will come of nothing, speak again”. 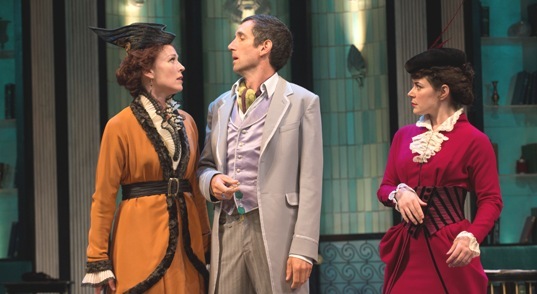 A successful Noel Coward play and Cynthia Dale in a drawing room comedy; what could miss? How about the over-effeminizing of all the characters; even the females? How about over-posturing ad absurdum? How about overacting to the point of hamminess? Finally, why did director Alisa Palmer feel it is necessary to sledgehammer the point that families can be dysfunctional? Our nearest seatmate dozed off about 12 minutes after curtain and slept until intermission!